Central to much of the change is the data being collected, stored and analyzed for various reasons, not all of which are transparent. As the pace of technology innovation and tech-driven societal change accelerate, businesses are wise to think harder about the longer-term impacts of what they're doing, both good and bad. Technology in all its forms is just a tool that can be used for good or evil. While businesses do not tend to think in those terms, there is some acknowledgement of what is "right" and "wrong." Doing the right thing tends to be reflected in corporate responsibility programs designed to benefit people, animals, and the environment. Doing the wrong thing often involves irresponsible or inadvertent actions that are harmful to people, whether it's invading their privacy or exposing their personal data. While corporate responsibility programs in their current form are "good" on some level, ethics on a societal scale tends to be missing. In the tech industry, for example, innovators are constantly doing things because they're possible without considering whether they're ethical. A blatant recent example is the human-sheep hybrid. Closer to home in high tech are fears about AI gone awry. The definition of ethics is simple. According to Merriam Webster, it is "the discipline dealing with what is good and bad and with moral duty and obligation." In practical application, particularly in relation to technology, "good" and "bad" coexist. Airbnb is just one example. On one hand, homeowners are able to take advantage of another income stream. However, hotels and motels now face new competition and the residents living next to or near Airbnb properties often face negative quality-of-life impacts. "The [CIOs] who tend to be more enlightened are the ones in regulated environments, such as financial services and public sector, where trust is important," said Frank Buytendijk, a Gartner research vice president and Gartner fellow. 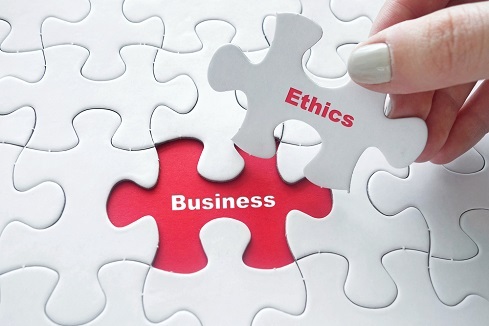 Today's organizations tend to approach ethics from a risk avoidance perspective; specifically, for regulatory compliance purposes and to avoid the consequences of operating an unethical business. On the positive side, some view ethics as a competitive differentiator or better yet, the right thing to do. "Unfortunately, it's regulatory compliance pressure and risk because of all the scandals you see with AI, big data [and] social media, but hey, I’ll take it," said Buytendijk. "With big data there was a discussion about privacy but too little, too late. We're hopeful with robotics and the emergence of AI, as there is active discussion about the ethical use of those technologies, not onlyt by academics, but by the engineers themselves." "Ethics is the new green," said Raja Chatila, Executive Committee Member of the IEEE Global Initiative on Ethics of Autonomous and Intelligent Systems. "People value their health so they value products that do not endanger their health. People want to buy technology that respects the values they cherish." "As an industry, we could do a better job of being responsible for the technology we're developing," said Chatila. At the present time, 13 different committees involved in the initiative are contemplating ethics from different technological perspectives, including personal data and individual access control, ethical research and design, autonomous weapons, classical ethics in AI, and mixed reality. In December 2017, the group released "Ethically Aligned Design volume 2," a 266-page document available for public comment. It includes the participation of all 13 committees. Groups within society tend to react to technology innovation differently due to generational differences, cultural differences, and other factors. Generally speaking, early adopters tend to be more interested in a new technology's capabilities than its potential negative effects. Conversely, laggards are more risk averse. Nevertheless, people in general tend to use services, apps, and websites without bothering to read the associated privacy policies. Society is not protecting itself, in other words. Instead, one individual at a time is acquiescing to the collection, storage and use of data about them without understanding to what they are acquiescing. "I think the practical aspect comes down to transparency and honesty," said Bill Franks, chief analytics officer at the International Institute for Analytics (IIA). "However, individuals should be aware of what companies are doing with their data when they sign up, because a lot of the analytics –- both the data and analysis –- could be harmful to you if they got into the wrong hands and were misused." "Until the public actually sees the need for ethics, and demands it, I just don't know that it would ever necessarily go mainstream," said Franks. "Why would you put a lot of time and money into following policies that add overhead to manage and maintain when your customers don't seem to care? That's the dilemma." Businesses, individuals, and groups need to put more thought into the ethics of technology for their own good and for the good of all. More disruptions are coming in the form of machine intelligence, automation, and digital transformation which will impact society somehow. "How" is the question.